Over the past couple of weeks you might have read a few posts about our trip to Bluestone and what we got up to on our break. It was a much needed little holiday after a rather stressful beginning to 2015. Now comes the review, what we really thought about our getaway to Bluestone. We arrived late Monday night, after half eleven! I'd had a bit of a panic on route about whether or not we'd actually be able to get in. So the other half called ahead to let them know and we were reassured by a very pleasant member of staff that check in was 24 hour and that there was no need to rush. When we did rock up there was no need to park up and find reception, someone had the genius idea of a drive through check in which was perfect! I just gave the booking name and was handed a map, booklet and timetable of events for the week. We followed the one way system for cars to our lodge which almost took us back to where we'd started. Cars should be parked in the car park once you've unloaded unless you have permission to park it outside your lodge. There are bikes and buggies available for hire if you don't fancy getting around by foot every day. We stayed in a Gateholm, a three bed, two bathroom lodge which sleeps six people. Two of our friends were meant to be joining us but unfortunately couldn't due to sickness. A bit of a bonus as it meant we had the lodge to ourselves. As soon as we stepped in to our lodge we were highly impressed, it looked immaculately clean and felt very homely. All lodges come with a travel cot and highchair as standard, which I think is great as other holiday parks we've been to or looked in to have charged extra. If there's more than one baby/tot staying in the lodge all you need to do is let them know when booking. I'd been looking forward to experiencing the 'upside down living' and the open plan kitchen, dining and lounge area did not disappoint! As you can see it is very spacious with plenty of room to cook, eat, play or relax! I adored the modern purple kitchen which was fully equipped with everything you needed should you wish to make a cuppa or to cook 'proper' meals. There is also a dishwasher so there's no pressure for anyone to be standing at the sink doing the washing up. A nice touch that was awaiting us was a little pack with a mini bottle of washing up liquid, dishwasher tabs, rubbish and recycling bags. Eliot was forever in the drawers and cupboards so safety locks in the kitchens could be something that could be added just to make it that extra bit family friendly. There was a large dining table with six chairs, which would be great for family or friends to have dinner round. I think if there were six adults sharing it would be a bit snug on the sofas but otherwise fine for relaxing in the evenings. As well as a TV there's also a DVD player if you have time that is! WiFi is included too, ideal for us bloggers. At first ours wasn't working so I mentioned it to a member of staff who said they'd send someone round to have a look ASAP. In the meantime I discovered a cable was out which I hadn't noticed when I first looked...oops. Someone came round to fix it when we left the lodge. They left a note to let us know that there weren't any issues. Downstairs was one double bedroom with an ensuite, two twin rooms and another bathroom. All of the bedrooms came with a wardrobe and chest of drawers, giving ample storage for your belongings.The bathrooms had one toilet roll each and a small soap. They were very good sized bathrooms with plenty of space. My OH is quite particular about showers and the amount of pressure they have, he had no complaints about the one we had in our ensuite! We all slept very well during our stay, the bed was comfy with plump pillows. Once I fell asleep I was asleep for the night. We were extremely happy with the Gateholm lodge, the only issue we had was with the safety gates at the top and bottom of the stairs. The one at the bottom of the stairs was one you pull across and I couldn't work out how to do it. The one at the top had a part on the hinge side which kept coming out every time we tried to close/open it. It was simple to fix but a pain as it was repetitive. I'm sure if I'd reported it to staff they would've popped over to try and sort it as they did with the internet. There is an abundance of activities available at Bluestone, indoors or outdoors there's plenty to do. As mentioned, in the welcome pack we received a timetable of available activities for the week . Some you pay for and some you don't. The Blue Lagoon swimming pool and adventure centre are included in your stay. The adventure centre is host to plenty of free activities, mini golf, NRG room, soft play, Lego, the tower and the circus zone. We spent some time in the adventure centre on the Tuesday, Eliot enjoyed jumping on the bouncy castle, playing in the ball pool and soft play. We had lunch in the Wildwood café, you can read more about what we got up to here. We only visited the Blue Lagoon once during our stay, mainly due to there being so many options of what to do, not only in the resort but further afield too. Eliot LOVED splashing about in the main pool with its fountains and waves. It's really spurred me on to get Eliot to swimming lessons not only is it fun, it's a life saving skill as well. In this diary post you can read more about what we thought of the Blue Lagoon. As I mentioned before there were plenty of chargeable activities too. From messy and sensory play for babies and tots, to tree climbing and archery for older children and adults, to the well spa retreat. There was so much to choose from, we felt we didn't have enough time to do everything we would've liked to do. I think how much you can make the most of your break depends on what time of year you go and the weather conditions. We were blessed with lovely weather, cold but sunny during our stay. I don't think I would've enjoyed the experience as much if it had been pouring with rain the entire week! ﻿There were several places to eat in Bluestone. The Village was home to the main places, The Farmhouse Grill which also offered a takeaway service, Carreg Las and the Knights Tafarn. It also had a bakery too. We only got round to trying out the Farmhouse Grill, a family restaurant which offers a variety of dishes from the grill and on Sunday's offers a traditional carvery. I wrote about what we thought of the Farmhouse Grill here. The Knights Tafarn is a traditional style pub offering 'pub grub' and traditional & ales. Carreg Las is more focussed on adults and there are no children allowed after 7pm which has it's pros and cons for different guests. I would've liked to have dined here if we'd had a babysitter for Eliot! As well as the main restaurants there is the Fish Shack in the Blue Lagoon, the Wildwood Café in the Adventure Centre and Camp Smokey outdoors in the Steep Ravine. I felt there were plenty of dining options to choose from and if you did need to stock up in your lodge, the Newton Village shop gave you that option, even if prices were higher than your usual supermarket. 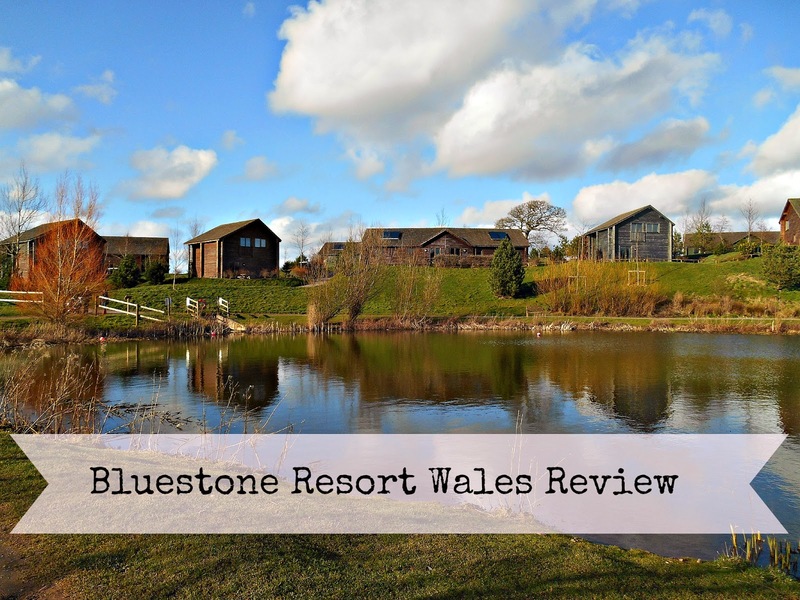 Our experience at Bluestone resort overall was fantastic and we wouldn't have second thought about booking a holiday there again. The setting is stunning and there are so many activities to choose from, the only problem is doing everything you'd like to do. My tip would be to plan ahead, check what activities you'd like to do and places you'd like to visit outside of the resort. That will enable you to be more organised and get the most out of your break. 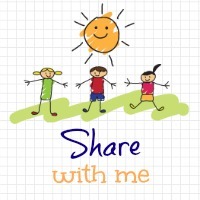 Have you visited Bluestone, what was your favourite part of the holiday? If you asked me to name my top three baby/toddler brands, the gro company would undoubtedly be one of them. 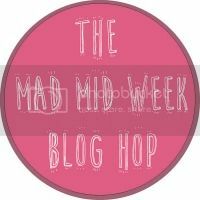 It was through blogging that my love for the brand began to grow. After reading a review of the gro egg on another blog I went out and bought one. We’d been using one of the cardboard ones and I just wasn’t confident with the readings it was giving. The gro egg was so simple to use and you could immediately tell if the room was too hot/cold by just looking at the colour on the display. We also own a gro anywhere blind which is amazing for keeping rooms dark. It fits easily onto the window with suction caps, we actually used it as Eliot's main curtain in our old flat as I couldn't find curtains long enough that I liked! I’d first been given a gro bag by colleague whilst pregnant and noticed a positive difference when Eliot started sleeping in it. I’m not ashamed to admit I’ve been dying to work with the gro company for a loonng time, so when the opportunity came along I was delighted. We received a 2.5 tog unisex sleeping bag with a front fastening zip which we've been using for some time now. I really like the chevron pattern and different colours, particularly for older babies/toddlers. This sleeping bag fits a five point harness which I think is fab for when you’re out and about around nap times or on long journeys, more so for younger babies. There is a velcro fastening to fit a five point harness through, which can be closed when using in a cot. Having not tried out a front fastening sleeping bag I was intrigued to see how I would find using it with Eliot. To begin with I found the zip a bit tricky to join together, mainly because my fine motor skills aren’t great but I did find the zip eased up the more we used the gro bag. Now I find doing it up much easier. I wasn’t sure how I'd find using a gro bag with a front fastening zip compared to the side fastening zip. Overall I think I prefer the side fastening sleeping bags. However, both have their own pros and cons. Eliot was poorly a few weeks ago and woke up during the night. I took him downstairs and he fell back to sleep on me. He felt quite hot, without disturbing him I undid the shoulder poppers and zip on the side fastening sleeping bag to remove the back of it. So simple! If he’d been wearing the front fastening bag I'm pretty certain I would’ve disturbed him when trying to take his arms out. Of course a pro for this one is that it can be used with a five point harness! Also Eliot has never managed to get out of this but has wriggled his way out of the side fastening one on several occasions! If you’re considering using sleeping bags for your baby I can’t recommend the gro company highly enough! The high quality materials are always made from 100% cotton, they're award winning and meet the relevant British safety standards. So what's not to like?! Have you used any of the gro company products? I'm sure all fellow mamas and dads will agree that seeing your son or daughter unwell is one of worst things a parent will experience. Probably more so when they are babies/toddlers as they can't verbalise how they're feeling and working out what's wrong can become a bit of a guessing game as it's not always easy to spot. I'm so thankful when Eliot is better and back to his usual self. Obviously there are different degrees to how children can be ill, from minor childhood diseases to life threatening illnesses/accidents. I do so hope we never experience the latter. Apart from Eliot's Pyloric stenosis, he wasn't really unwell during his first year, just a cough & cold. It was January this year when he was first hit by a nasty cold bug which literally stopped him in his tracks. The boy usually can't keep still but he was lethargic and just wanted cuddles. It was awful seeing him like that as it was clear how poorly he felt from his behaviour. Just over two weeks ago we went through the worst thing we've experienced as parents so far. The most terrifying event of my life. Eliot and I were in Tescos with my mum when he started to become cranky, when I felt his head he seemed quite hot. When we arrived back at my mums I checked his temperature with our thermometer and it was up. I battled with him to get some calpol in to bring his temperature back down, he sat and cuddled up with me. A big indicator he was not 100%. An hour or so later he was up playing with toys so I took his temperature which had come down. I put him to bed and he slept through, which led me to assume he felt better in the morning. However he still wasn't quite right and had a slight temperature so I gave him some more medicine. I left him with my mum as I had an appointment and a couple of errands to do. When I returned with the OH Eliot had become worse. He had a high temperature and hadn't moved. Another battle commenced of trying to get him to take some medicine. I'd also noticed a rash on his wrist which didn't disappear with the glass test. This made me quite panicky so we immediately got in the car and went to A&E. We were called in to see a nurse who checked Eliot over, he said he couldn't t see anything that particularly worried him so we were sent back out to wait and see a doctor. Eliot was sat on my lap, he dozed off. All of a sudden I felt him jolt, I thought he was just jolting awake. You know how you do sometimes when your drifting off. But he jolted again, his whole body then continued. He was having a fit. I panicked and shouted to the OH to get help, a nurse took him off me. In the blur of it all I heard her say 'crash team'. Not something anyone wants to ever hear, especially when it's in regards to your child. We were stood in a room, Eliot was still fitting on a bed with an oxygen mask on. I don't know how many doctors came in to the room but I was asked to relay the details of him being poorly, leading up to where we were. We were told it was common for febrile convulsions to happen when a temperature rose rapidly. We were asked if we wanted to leave the room or stay. I couldn't look at Eliot convulsing or the medical staff surrounding him. It was frightening, it was too difficult to witness but there was no way we were going to leave him. After a few minutes, I'm not sure how long it stopped and Eliot become semi conscious. We were back by his side, next a long struggle began to find a a vein to take some blood and get an IV line in for antibiotics. This was also incredibly distressing as took a long time. I for one have my own phobia of blood tests as its difficult to find a vein on me so hearing my son, my baby crying was awful. He had pin pricks all over his hands and feet before they eventually got one in his wrist. All the time we were being reassured that it was good he was crying and fighting because if his illness was something more serious he would be unresponsive. Once the line was in and everything was sorted we were put out on the child's A&E ward and waited for adoctor to come and see us. Eliot wanted to be held and cuddled which I was terrified about, terrified he would get a high temperature again and have a convulsion. It was very warm in the kids A&E department, I had felt very hot when Eliot was sitting on me so I felt responsible for Eliot's temperature rising as I had been a source of heat. worry was how likely was it for Eliot to experience convulsions again. We were informed febrile convulsions could happen just once or they could happen again. It was unlikely it could be epilepsy which was another big concern. Eliot was kept in overnight as a precaution to be monitored and to await the results of his blood test, which we were told they had the lost the next day (but that's another story!) We were sent home but had to return to hospital for antibiotic injections for five days as they were unsure of whether he had an infection. Thankfully the next day his blood results were located and came back clear so we didn't need to return for any more antibiotic injections. Eliot recovered within a couple of days and is now very much back to his 'usual self'. I am so thankful we were at hospital when Eliot had the convulsion, I panicked and don't know what we would have done if we were at home. But I worry about the next time he gets a temperature, if it will happen again. It's quite possible apparently, a 50/50 possibility. If it happens I know I need to lie him on his side, I know he needs to be somewhere safe where he can't injure himself and I will call an ambulance. If your son/ daughter have experienced febrile convulsions I'd be really keen to hear about whether it happened again or if it was a one off. On our last proper day (Thursday) at Bluestone, we began the day with the historical walk which started off from Village Central. I definitely recommend going on the walk if you’re interested in finding out a bit of background about the land Bluestone is situated on. You’ll also be treated to a couple of spooky stories! I won’t give too much away but if you find yourself on the path/trail which runs in front of the car park and behind some lodges in Preseli View at dusk, keep an eye out for a lady in white! Both myself and the OH found it enjoyable and very interesting, Eliot on the other hand got cranky when we stopped walking and we had to ply him with apple crisps! That’s something to bear in mind if you have toddlers or older children, the walk only lasted an hour but that’s a long time if you’re a little one. Our guide was very friendly, clued up on local history and very relaxed about the whole thing. After the walk we headed back to the lodge as the OH had tree climbing (£13) booked and wanted to grab a cuppa before heading off to Camp Smokey. Eliot was booked in for toddler sensory (£7) at 1:30pm and therefore needed a nap and lunch beforehand. So we didn’t go down to the woods to watch daddy’s tree climb. He enjoyed it but found it challenging and daunting with the height. When we arrived for toddler sensory in the circus room at the adventure centre there were lots of other tots there too. The session had a space theme and the girl who ran it was fantastic! She was bubbly, enthusiastic and made every effort to engage with the children. Eliot took quite a shine to her and they built a Lego tower together. The session started with free play where everyone did their own thing. Eliot had lots of fun exploring the toys and equipment in the room. The host did call everyone together for a few different activities but Eliot would just not keep still and wanted to do what he wanted to do, which meant me following him around the room. He did participate in a bit of dancing and became very excited when the bubble machine came on. 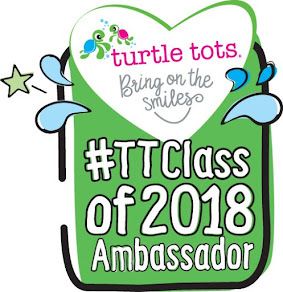 I thought it was a lovely session and great for tots but perhaps older toddlers would gain more from it. Once the session was over we took a stroll down to Camp Smokey where there were a few outdoor activities taking place. The OH showed us the trees he climbed on his tree climb and they looked blooming difficult! He hadn’t done anything like it before and it’s given him an urge to be more ‘outdoorsy’. I found the woods such a calm, peaceful setting. The fresh air and sound of running water really made me feel like I was away from it all! Next we finally got round to visiting the Blue Lagoon swimming pool which I’d really been looking forward to taking Eliot to. We were given passes and headed downstairs to the changing rooms. There are separate male and female areas but also quite a few family changing rooms. We managed to get in to one both before and after swimming, they were busy though and I imagine you may have to wait if you visit the resort at busier periods. Eliot was so excited when he saw the pool an ran towards the little fountains as you walk in. He was happy playing with these for a while, splashing the water everywhere. We took a couple of trips around the lazy river which takes you outdoors. Eliot wasn’t too sure about this and preferred being able to stand in the shallower areas. There was a wave machine which you were warned about before they came on with a loud horn. This enabled you to move or get out if you didn’t fancy riding the waves. We also spent a very short time in the toddler pool, it had a little slide for tots go down and was nice and shallow. After our splash around we showered back at our lodge and walked down to Village Central for dinner at the Farmhouse Grill. The restaurant offers a range of meat and fish dishes which are locally sourced. There was quite a selection to choose from, They had an offer where if you ordered a starter and main course you’d receive a dessert free. So we decided to share and ordered mushrooms for a starter. For mains I opted for the burger and the OH ordered the pork chop. When ordering, our waitress informed me that the burger was slightly spiced. This didn’t bother me as I love a but of spice! We chose the kids buffet (£4.95) for Eliot which had a small variety of options, pasta, chicken goujons, meatballs, pizza and chips. Unfortunately some of the food didn’t look too appetising as I presume it had been there for a while. If we’d been there when it was all freshly put out I think it would have been good value for money as kids could eat as much as they wanted. The mushroom starter was gorgeous, we both really enjoyed it and found it very tasty. Salad and bread are also included with meals so you are able to go up and help yourself. I was actually feeling a bit full after the starter and didn’t eat all of my burger. It was more on the spicy side than I'd expected, so it was a good job the staff were pre-warning people as if you don’t like spicy food I don’t think you would’ve enjoyed it. The OH enjoyed his main and ate every bit! For dessert we had the Bailey’s ice cream pudding which was had crushed fudge and a shot of Baileys poured over with toffee sauce. We ordered a kids ice cream for Eliot as it’s normally his favourite but I think he was too tired from the busy day to enjoy it. Our bill came to over £40 which I felt was more than what we normally pay when we eat out. We didn’t have any alcohol which can obviously increase the bill by a large amount. However I think you have to expect to pay a little more when eating on site at a resort. If all the ingredients are fresh and local then I suppose the prices are justified. We were sad that this was our last day at Bluestone and returned to our lodge for our last night. I love this snap taken of my boys on Tenby beach during our stay at Bluestone. The beach is so pretty, we had blue skies, it was a beautiful day. We arrived late last night (Monday) as Eliot had been poorly since Thursday evening and we weren't sure if were going to be able to make it. I didn't spend Sunday packing as I would've done as I wanted to see how Eliot was on Monday morning. He woke up very much back to himself so we made the decision to go on our Bluestone get away. There was quite a lot to sort out so we didn't leave till around 5pm, it was a long way to travel but we figured we'd be able to make more of our break by getting there late Monday rather than on Tuesday. On route I asked the OH to call the resort as I was worried we'd be too late to check in but we were reassured by a very polite member of staff that security were on 24/7 so there would be no problem. We arrived around 11:30pm after one stop off for food. Check in was super easy, we just drove the car up to the check in window where we were given a welcome pack with resort info and the card keys for our lodge. We followed the one way system round to our lodge, when we opened the door we were highly impressed! Everywhere was clean, fresh and extremely inviting. We're staying in a Gateholm lodge which sleeps six. When we booked two friends were meant to be joining us but they couldn't make it due to illness. We all settled down for the night, Eliot in the travel cot provided by Bluestone and we all had an undisturbed sleep. In the morning we awoke to this beautiful view, you can't see here but the mountain top in the distance was sprinkled with snow. We had a relaxed breakfast, Eliot enjoyed looking out of the Juliet balcony and emptying the contents of the kitchen drawers! We decided to explore the resort and headed to the Adventure Centre first. We all enjoyed the bouncy castle, daddy more so than Eliot! The Chicken Run soft play for children under six also proved popular, Eliot had fun in the ball pit but was set on attempting to climb up the slides rather than going down them. Next we went for lunch in the Wild Wood Café which serves sandwiches, burgers, jacket potatoes and some lighter options. I waited quite a few minutes to be served as there wasn't anyone behind the bar. However when I'd ordered we didn't wait too long for the food to be served. Over lunch we looked over the bookable activities, the OH decided on a couple and we thought Eliot could try toddler sensory. We booked them and ventured off around the rest of the resort. Strolling through the village which is host to some shops and restaurants we browsed the menus for the Farmhouse Grill and the Knights Tafarn which we plan to try out later in the week. Just next to the village is the Bluestone lake which we walked around before heading down a nature trail. We were debating to whether to go thorough one of the gates when I noticed lots of tiny birds fluttering down around us. I've never seen so many small birds so close, it really was a back to nature moment. Our first day at Bluestone has been lovely, the scenery is stunning and there are so many activities to choose from. The OH and I certainly feel relaxed and Eliot is enjoying himself too!